The actions which a drunk driver or bar patron takes in causing an accident can quickly become life threatening, whether it be a drunk driving accident or a bar fight. Unfortunately, as our Miami bar liability lawyers have seen firsthand, the victim is typically an innocent bystander who was simply in the wrong place at the wrong time. While the inebriated individual should be held liable for their actions and their poor sense of judgment in over-imbibing, the bartender and the establishment should also be held responsible for over-serving an apparently intoxicated individual. Bartenders and bars have a high duty of care to protect the general public, and should exercise caution when serving already intoxicated individuals. The failure to do so could have disastrous consequences. The liability of a bar which continues to serve an intoxicated person, who later causes an extreme accident, falls within the type of laws called “Dram Shop” laws (named after 18th century liquor shops). These laws hold retailers liable for selling liquor to already intoxicated individuals who later drive drunk. However, Florida law specifically disallows liability against a bartender, unless the server sold liquor to a minor, or served to someone who was “habitually addicted to the use of any or all alcoholic beverages.” Therefore, in order to bring a claim for damages against the responsible bartender, the injured party must be able to prove that the drunk driver had a habitual drinking problem and the server or owner was aware of this. Current personal injury claims stem from the early days of tort law in English law. In these early legal cases, a person was found responsible for any resulting accidents if their actions led to series of events which caused the accident. In the case of a bartender or liquor establishment, the over serving of an individual can lead to a serious accident if the bar knows that the over-served individual will get behind the wheel. The strict requirements of Florida’s dram shop laws do not prevent a victim from bringing a claim against the bar, although the victim should consult with a seasoned Miami personal injury lawyer to determine their available legal options. The actions of an intoxicated individual could have serious repercussions on a victim and their family. 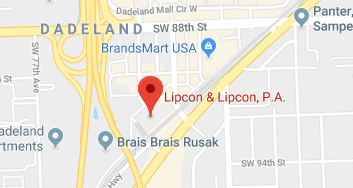 An accomplished Miami bar liability attorney at Lipcon & Lipcon, P.A. will be able to assist you in calculating the full amount of damages you are entitled to receive after a devastating accident. If you or a loved one were injured in an accident resulting from an individual’s actions while they were under the influence of alcohol, you may be entitled to bring a claim against the responsible bar or bartender. The attorneys at Lipcon & Lipcon, P.A. are well-versed in personal injury claims stemming from the actions of a bartender in these situations, and will assist you in determining whether the facts of your case will fit within the Florida dram shop laws. Contact our Miami office today for your free initial consultation.